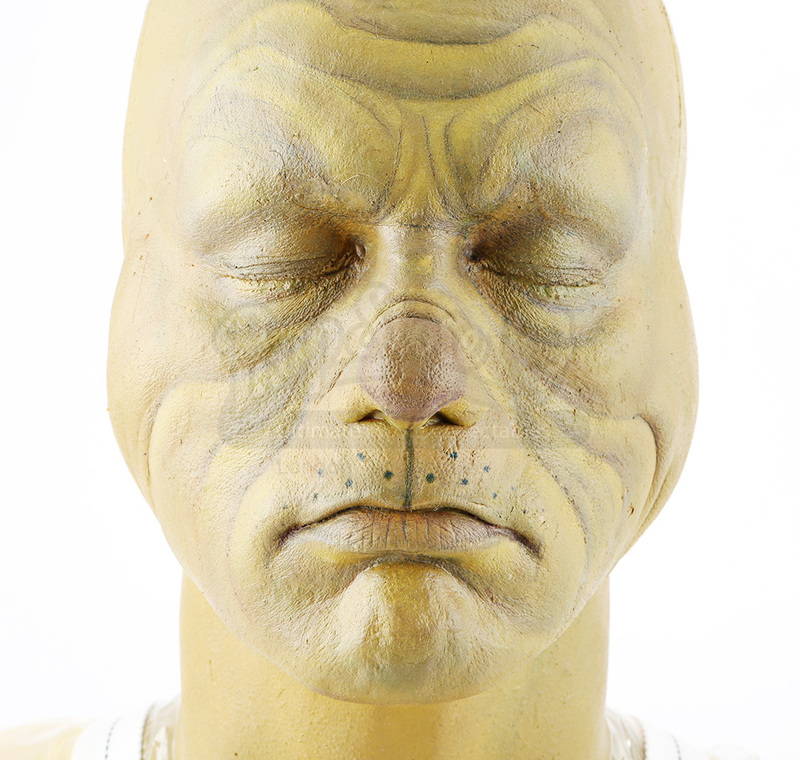 Grinch's (Jim Carrey) makeup test bust from Ron Howard’s family comedy How the Grinch Stole Christmas. 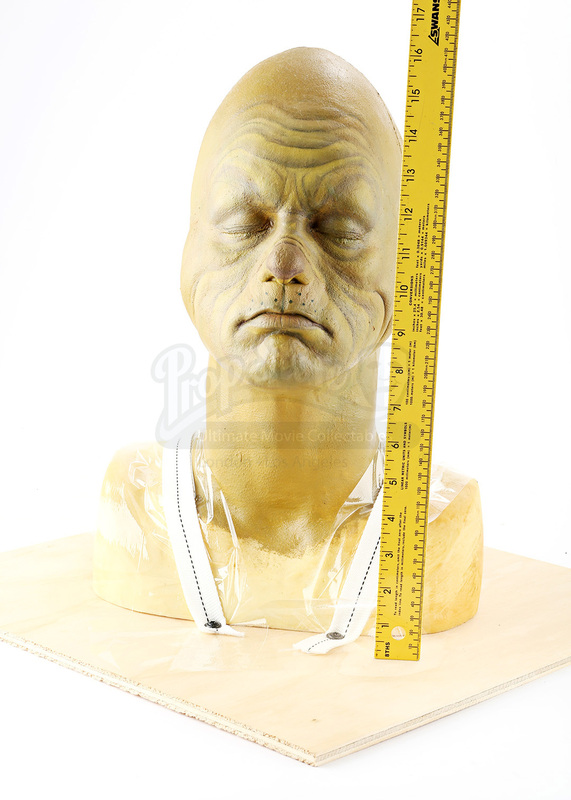 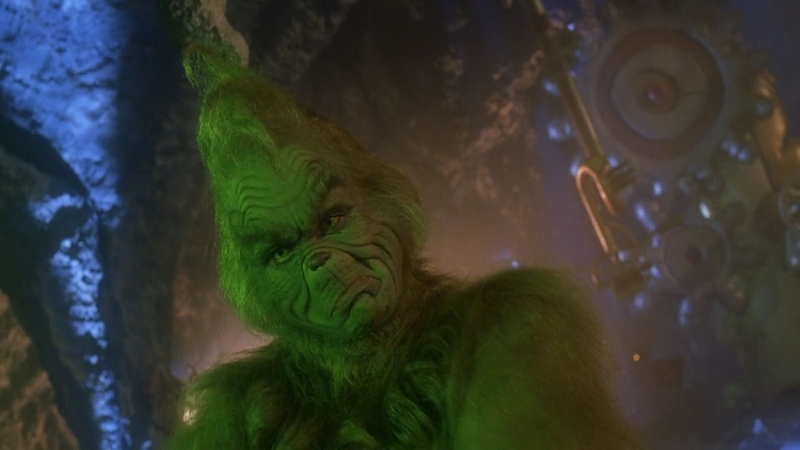 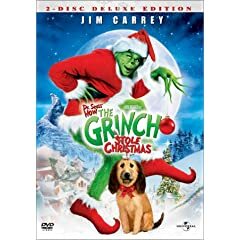 This pre-production bust was created during early tests to help transform Jim Carrey into the grouchy Grinch. 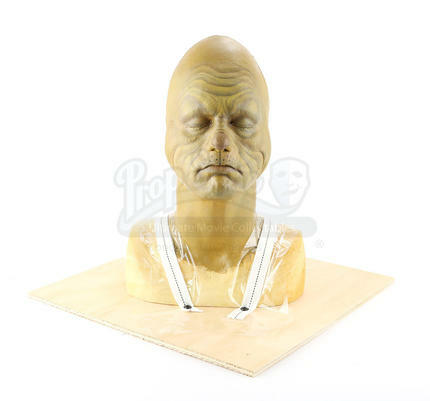 Fixed to a biscuit foam bust, the foam latex appliances has been finished in green paint and features wrinkles along the forehead and cheeks. 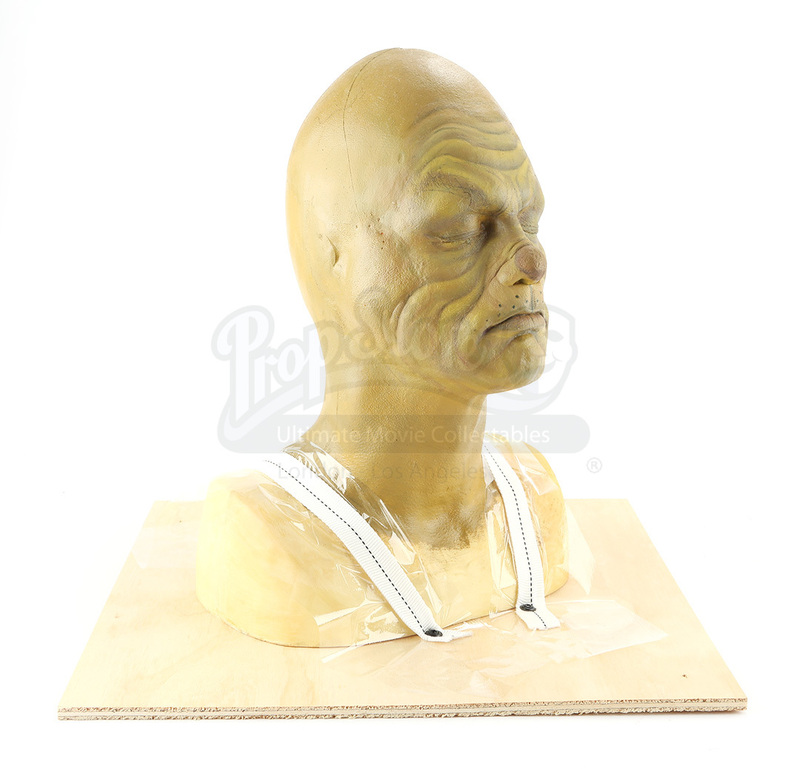 The bust rests secured to a wooden base and shows minimal signs of wear, remaining in great overall condition.